The pain of today’s JPEG2000 processing hardware solutions, such as this one, is that once bought, there is usually very little room for future upgrades. This leaves you with predefined I/O box that is capable of doing all the necessary work according to current standards but the question is how long will it take before it becomes obsolete and you must look for a replacement. 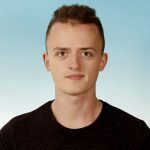 Production standards are on verge towards higher resolutions and sufficient solution that you have today might not be sufficient in the near future. Imagine a headache when moving your workflow from HD to 4K or even 8K. 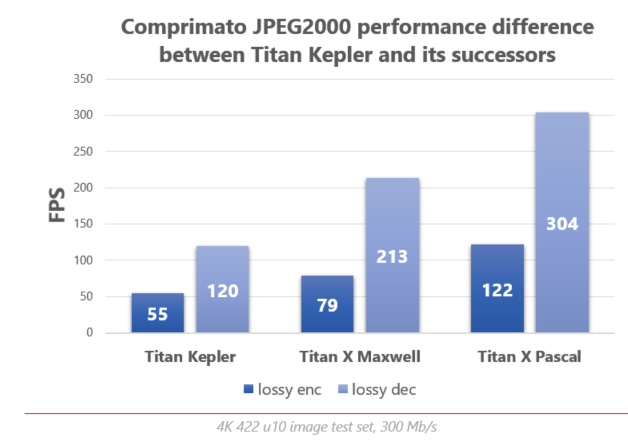 Comprimato JPEG2000 SDK comes as a software library which redefines scalability of JPEG2000 processing and brings the future proof concept that is achieved due to easy hardware upgradeability. Since we support all major operating systems and we designed the library to run on Intel and AMD CPUs and NVIDIA and AMD GPUs, we give you the possibility to choose hardware that is appropriate for your current or your future needs. Our customers mostly choose NVIDIA GPUs for their solutions due to superior performance which NVIDIA cards offer. A new generation of GPUs is released every two years that brings overall performance increase compared to its predecessor. 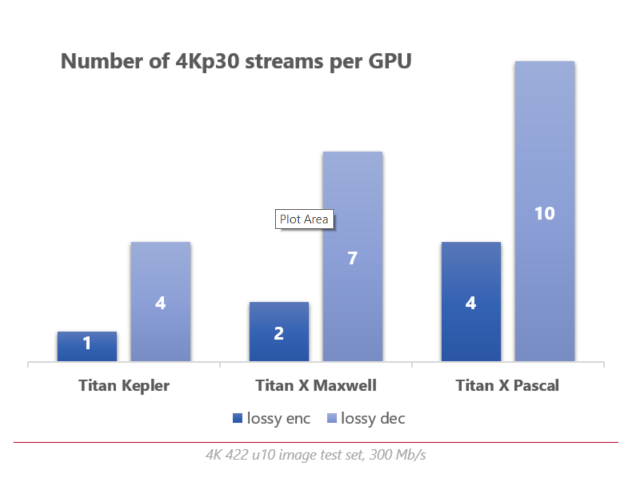 Following graph depicts the encoding and decoding performance difference between NVIDIA Titan cards based on Kepler, Maxwell and the newest Pascal architecture. These cards were released in February 2013, March 2015 and August 2016 respectively. Upgrade only your GPU card to get the horsepower which you need. Update your current GPU driver so that it supports your new GPU. As you can see in order to increase the number of streams that this solution supports we needed to upgrade only one hardware component and the rest was simple software maintenance. You can do this on your own since there is no need to contact a third-party provider to help you with the installation. The cherry on top is that you can even take advantage of our multiple GPU scaling functionalities by plugging the older GPU along your brand new GPU to increase the performance even further. With Comprimato JPEG2000 SDK, all the issues associated with hardware exchange will feel like problems of yesterday.